In explaining how living things control their perception, PCT is clearly highly relevant to psychology. Indeed, there are close similarities between the core principle of PCT and the early work of the great late nineteenth century psychologists and philosophers, William James and John Dewey. Yet, the concept of circular causality embraced by PCT seems to have never caught on in mainstream psychology and neuroscience. As recent as this year, contemporary articles are making the case to the wider establishment that closed-loop, circular causality is much closer to how living systems actually function than the approach researchers still use. See Gomez-Marin (2016), Ahissar & Assa (2016) and Eder (2016). See Hershberger (1998) for an earlier account. ‘‘Upon analysis, we find that we begin not with a sensory stimulus, but with a sensori-motor coo¨ rdination, the optical- ocular, and that in a certain sense it is the movement which is primary, and the sensation which is secondary, the movement of body, head and eye muscles determining the quality of what is experienced. In other words, the real beginning is with the act of seeing; it is looking, and not a sensation of light. The sensory quale gives the value of the act, just as the movement furnishes its mechanism and control, but both sensation and movement lie inside, not outside the act.’’ (Dewey, 1896, p. 358–359). 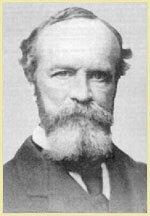 William James, a contemporary of Dewey regarded the sense of purpose as the central feature of the mind and he viewed living organisms as in control of their environment rather than at the mercy of environmental forces. Cybernetics was the name given to the movement, starting in the 1940s, in which purpose played a central role, and the mathematics of control were initially described. PCT shares some similarities with this approach, and addresses some of its limitations, as described in Powers (1989) book Living Control Systems. Carl Rogers, the humanistic creator of person-centred counselling stated: “Here is a profound and original book with which every psychologist-indeed every behavioral scientist--should be acquainted.” In a recently published article, Mick Cooper has utilised PCT to ground his work on humanistic psychotherapies. More recently, it has been claimed that PCT provides a volitional framework for Individual Psychology, as initially proposed by Alfred Adler. Charles Carver and Michael Scheier have applied a version of control theory inspired by PCT to social and clinical psychology. In 1982, they wrote: “Powers (1973) explicitly considered the possibility that control systems can be interconnected hierarchically… it is on his reasoning that we now build.” See also the work of Lord & Levy (1994) and Action Identification Theory (Vallacher & Wegner, 1987) credited to Powers (1973). The current field of self-regulation within psychology is highly prominent, and is a key area where PCT has had its influence. The TOTE (Test-Operate-Test-Exit) system is an example of a self-regulation model that emerged at the same time as PCT (Miller at al., 1960). It also involves a hierarchical system of goal-directed systems. However, it is organised in series rather than the parallel structure of a PCT hierarchy. Vancouver (2000) provides a historical overview of PCT, TOTE, cybernetics and related approaches in organisational psychology. PCT has also been compared to the ecological approach of J. J. Gibson. For example, Warren and Fajen (2004) describe how 'laws of control' emerge from Gibson's approach. However, there are very important distinctions that are discussed here. Furthermore attachment theory (Bowlby, 1969) increasingly utilises models of conflicting control systems in its approach. PCT also provides strong ground upon to which to critique emerging theories in psychology, such as Gross's theory of emotion regulation, as described by Webb et al. (2015). But PCT also creates debate within psychology. See ths post recent blog, edited by Andrew Wilson, an ecological psychologist. The field of behaviourism proposes that behaviour is a learned response to ‘stimuli’ in the environment. Yet, Powers suggests that no specific behaviours are learned – all behaviour is modified ‘online’ to control perception. Some of the most lively discussions in the 1980s between Bill Powers, his colleagues, and a range of academics within cybernetics and behavioural sciences is available as a series of newsletters. A debate in the journal Science in 1972 reflected these issues: Many people from a behaviourist background have shifted to PCT. This article by Chris Cherpas provides one example. For a detailed description of a PCT account of 'reinforcement learning' see this recent paper by Henry Yin. It is sometimes tantalising how close some behavioural researchers get to the PCT model, and yet they still converge on the idea that behaviour itself becomes fixed and learned, rather than the PCT account - learning involves only the control systems that specify the perceptual results of action (e.g. see Wolf & Heisenberg, 1991). Another key figure who is critical of PCT is Alfred Bandura, a key figure in the development of social learning theory and the creator of the concept of ‘self-efficacy’. Click here to read his debates with Jeff Vancouver which provide stimulating reading! It is hard enough that many academic reject PCT. However, maybe even more troubling is the fact that many (but not all) of the psychologists who claim to use Perceptual Control Theory in their work, have either misinterpreted key tenets - that 'behaviour is the control of perception', fail to appreciate that control systems work in parallel on continuously changing variables, or they omit vital details of the theory such as the process of reorganisation. The late Mary Powers has written a succinct online article on this pressing concern. How can the theory be accurately disseminated in the future? This is one of the aims of pctweb.org. Some of the key principles of PCT have been tested within psychology. They have essentially involved building a PCT model of a system and then evaluating the match between the model and the observations of how the real system works. Read Phil Runkel's landmark book, Casting Nets and Testing Specimens to read more on methodology from a PCT perspective. The key methodology is 'Testing the Controlled Variable', initially developed by Powers expanded by a range of authors including Clark & McFarland (1963), and Rick Marken. Rick focuses on this topic in his 2008 UCLA talk. In recent published papers, he has used it as a model of judging Theory of Mind, and to understand the participant's goal within experimental tasks. Jeff Vancouver has demonstrated that models that control perception rather than behaviour provide a much more accurate match to real-life data within psychology. Click here to read about this study. A recent, detailed computer simulation of goal striving based on PCT is located here. Tom Bourbon developed a PCT model of a simple tracker task that matched observed behaviour to a very high level (r > .95) over a period of five years His work is summarised in a compelling book chapter. Goldstein et al. (1987) explore tracking in more detail, looking at reorganisation and individual differences. Rick Marken describes a PCT model of catching fly balls in baseball that demonstrates of closer match with observed behaviour than alternative approaches. His latest collaborative paper utilises a computer game of 'chasin' choppers', and the PCT model is shown to be superior. In his latest book, Bill Powers provides a range of different computer demonstrations of PCT that have a tight qualitative match with observable phenomena such as balancing, arm co-ordination and crowd behaviour. Richard Kennaway demonstrates mathematically what these models show - a violation of the 'faithfulness axiom' - a near zero correlation between variables that are causally connected, and very high correlations between variables that have no causal connection. A further promising avenue for evaluating PCT is virtual reality. For further great insights into psychological processes based on PCT, take a look at Martin Taylor’s work, and Rick Marken’s website. Martin has developed a new, programmable version of the tracker task to download. In Powers (1973) original book, he provides detailed insights into the control mechanisms of memory, modes and imagination. The pdf of this chapter is provided here as it provides a perspective on the breadth of PCT that is missed within second hand accounts.